What is the evilest of all the acts that man is capable of conceiving and executing? Undoubtedly it is murder. “Murder most foul,” says William Shakespeare in Hamlet. He goes on to elaborate that the “most foul act” becomes further “strange and unnatural” when the killing is by a man of his own brother. A society takes shape when a group of people come together on fraternal terms and agree to lead a disciplined and peaceful life as demanded by the law of the land. All of a sudden, an unruly group of members from within the society collects to kill an individual member over a perceived issue of serious transgression or violation of the society’s code of behavioural norms. Lynchings by mobs are not unique to any particular society or country. It has been a worldwide phenomenon, both unpredictable and often occurring on the spur of the moment. What provokes a mob to commit the “most foul” act of murder that is “strange and unnatural”? Apparently, the mob collects and lynches the victim under the conviction that the latter is a hazard to the orderly functioning of the society and is therefore expendable. The victim commits an ‘unpardonable’ act that causes the mob to see red whereupon its members assume a sense of self-righteousness and arrogate to themselves the task or responsibility of cleansing the society by setting things right as per their perception and conviction. “One man’s food is another man’s poison,” goes an age-old saying which is not, arguably, any more relevant in any other part of the world than in India. Nothing seems to have created so much bad blood or consternation between the major communities in India as their culinary preferences and taboos. Every community has its own sentiments, which do not brook certain practices or the other, including food habits. Such practices are shunned as taboos and are strictly forbidden, breaches entailing heavy penalties and sometimes harsh punishments, not tenable under the law of the land. When the community sentiments run quite deep and are as old as the living memory, if not longer, the community seems to become sort of impervious to the law of the land. In the case of two different communities, which are governed by their own acceptable sets of norms that are prickly and irreconcilable in relation to each other, alarm bells start ringing and things start going wrong. Notwithstanding their community affiliations, individuals have their own preferences in matters that have a direct bearing on their personal or private life, such as their choice of food, drinking habits, selection of life partner, etc. When the individuals are ready and willing to make compromises in their personal preferences in order to align with the sentiments of the community amid which they live, a cordial atmosphere of mutual understanding and peace prevails. It is only when an individual puts his foot down and insists on having his own way, in the exercise of his right to his personal preferences that things tend to get out of control, resulting in ugly precipitous action. Likewise, when neither of the two communities with conflicting beliefs or sentiments is prepared to compromise, ugly showdowns are precipitated. The Hindus consider beef eating one of the darkest sins that a man could possibly commit. They believe that the cow is a sacred animal and her body is the dwelling place of all the deities that they worship. They consider the cow as an alter ego of one’s mother. They worship the cow and believe that protecting her is a sacred duty mandated by their religion. Slaughter of a cow is, therefore, an unthinkable act for a Hindu. It is not only cows but cattle, as a group of animals, which enjoy the traditional status of endeared and respectable living beings in Hinduism. This sentiment is also shared by Sikhism, Jainism and Buddhism. Cattle slaughter has been frowned upon and shunned for reasons ranging from cows being considered a species protected by Lord Krishna, to cattle being valued as an integral part of the rural household and unity of life, an economic necessity and as an important principle of non-violence and peace. Much thought had been given to the protection of cattle before and after Independence for the purpose of enacting suitable legislation. While Article 48 of the Constitution explicitly mandates the states to prohibit the slaughter of cows and calves and other milch and draught cattle, the Directive Principles under the said Article exhort the states to legislate on the prohibition of cattle slaughter. The issue has generated a lot of arguments for and against the prohibition of cattle slaughter. Since Islam and Christianity consider cattle as an admissible source of meat for consumption, and sections of the Hindu community have accepted beef eating due to the influence of the Western culture or dilution of their own religious sentiments, there is a sizable population of the votaries of consumption of beef. As a result, enactment of legislation has not been without major roadblocks or hiccups. Consequently, there is a lack of uniformity among state laws governing cattle slaughter. The absence of a nationwide blanket ban on cattle slaughter, the prevalence of a plethora of laws enacted by different states, some states taking a stand that is at odds with the Constitutional provision, and the prevalence of disaffection among followers of Islam and Christianity over the issue have transformed India into a simmering cauldron of conflicting stands, sentiments and practices. This has given cause to exporters and transporters of cattle within the country operating either in genuine ignorance of the legal position or trying to take advantage of lack of clarity of law for the purpose of making a kill (pun intended). The Gau Rakshaks or self-appointed protectors of cows in states have had confrontations in the past with illegal transporters of cattle. There has been one ugly showdown too many, resulting in preventable loss of precious lives. This unfortunate happening tends to occur every now and then in some state or the other. One sad aspect of the exercise undertaken by the Gau Rakshaks is that it is aimed at the transporters and, therefore, does not always succeed in discouraging the real forces behind the operation of illegal trafficking of cattle. The possibility of mischief makers infiltrating the ranks of Gau Rakshaks to bring the latter a bad name cannot be ruled out either. For instance, two years back, Pawan Pandit, Chairman of Bhartiya Gau Raksha Dal (BGRD) had said that some criminals just claim to be Gau Rakshaks to take revenge over issues that have nothing to do with cow protection. What makes the killings or lynchings particularly unfortunate is that the perpetrators and victims belong to different communities, which adds a communal colour to the incidents. 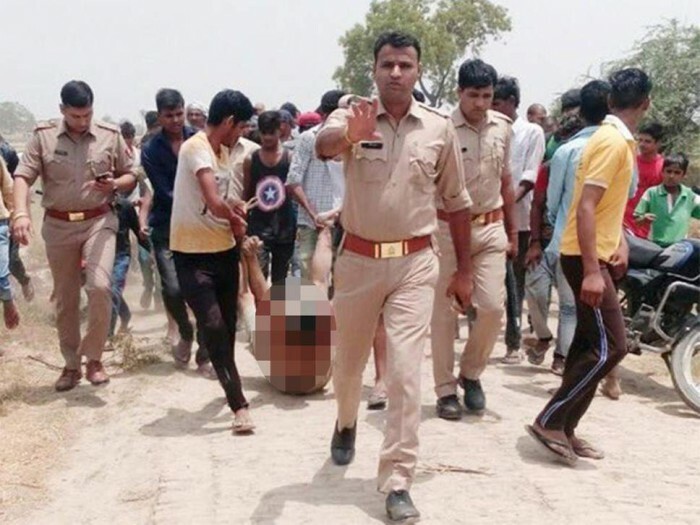 Notwithstanding their intention to protect the cattle, the Gau Rakshaks draw flak from the mainstream media(MSM), which is heavily prejudiced in favour of the victims, and play up the incidents. The Government of India has taken a strong and unwavering stand in the matter. It has stoutly denounced the lynchings by mobs as inexcusable and directed the states to strictly enforce the law. While the strict enforcement of laws will bring the frequency and number of lynchings down, the ugly phenomenon will die out only when the nation hammers out a uniform policy and enacts uniform legislation enforceable throughout the nation. It is difficult to choose between right and wrong here. Religious customs must be respected and likewise no human can be killed by the public without a proper and just trial in the court of law. There are multiple reports that suggest developed countries have shifted from being non vegetarians to a vegan society. We Indians must also follow this and stop consuming meat. So many government schemes have been announced by PM Modi then why cant we also take pledge of becoming vegetarians. Killing any living being is a case of crime against nature and this can be avoided. Any society cannot thrive if mob is allowed to take law in their hands. But when it is a matter of faith where something holds high religious value, these values must be respected by all. In a public statement Amit Shah has stated that the BJP will win despite of lynchings. This shows BJP arrogance and their stance on matters of such critical importance. Hindus rever cows and there is a strong reason attached to this. Cows have since ancient times provided the mankind with milk and other products that enabled us to reach where we are today. Killing them is a crime against humanity. It is to be understood here that not all lynchings were linked with cow or cattle slaughter. Even rumours of child abductions triggered many such incidents hence giving a religious angle is not right. There is no empirical evidence that can suggest that lynchings have increased after BJP came to power in 2014. Crimes like these have happened in the past however they could not make national headlines. The problem is religious majority interests are sidelined to give preferences to minority religious beliefs. Quite often than not this is done to appease minority groups and secure electoral win. Although it may be correct to say that mob lynchings are a struggle between individual preferences and community sentiments, killings of a human being cannot be justified in a civilised society.